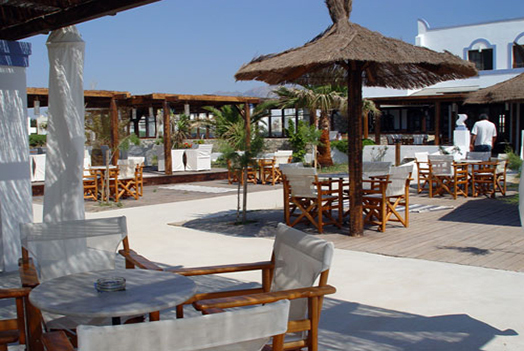 Bravo Beach is located in the serene and breathtakingly beautiful coastline just off Mastichari in Kos. The crystal clear waters of the Aegean, the white sandy beach and the magical sunsets all make for unforgettable memories you'll want to relive again and again. The beach has been awarded the coveted "Blue Flag" by the Hellenic Society for the Protection of Nature. The “Blue Flag”, a symbol of quality in over 35 countries today, is awarded with strict criteria to organised beaches and marinas operated by coastal municipalities, hotels and other operators. The programme aims at cleanliness of sea and beach, safety and proper services for bathers and visitors, creation of environmental sensitivity and active protection of the coastal region. Greece and therefore Kos is much more than what we are taught at school or the predictable summer image of glorious sunsets and sandy beaches. In Greece, you are literally standing at a crossroads of cultures, colours and civilisations, you feel the strength of history and the warmth of being in the southernmost part of Europe, you discover an evolutionary process of thought, influence and experience. A country that despite being rich in history has a populaton that moves towards the future. A country that although statistically small, is huge in its diversity. A landscape that has given us thousands of postcard images but remains incredibly vibrant and impossible to capture. 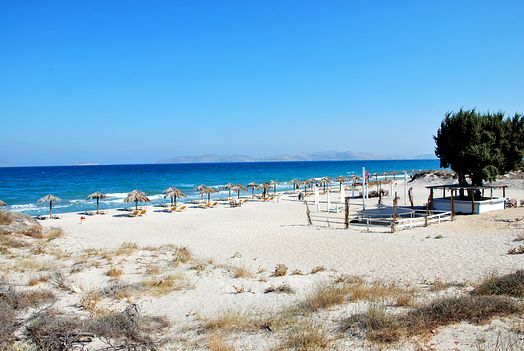 Kos is an island of beautiful contradictions, a constant journey in time, from the present to the past and back again. Walk through the olive groves, through ancient sites. Visit the surrounding clusters of sparsely inhabited islands. Roam from the beaches to rocky mountains and explore breathtaking scenery. In Kos the fusion of images becomes more than imagery and turns into reality. Join us in a journey of discovering the ancient and the new, at Bravo Beach, where you walk in as a stranger and leave as a friend! 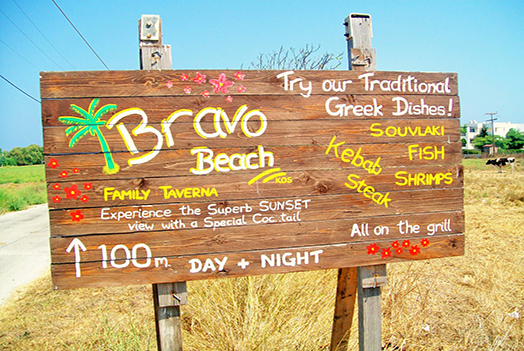 Bravo Beach offers a wide variety of European and Greek dishes as well as snacks ranging from mouthwatering sweet or savoury crepes, toasted sandwiches, Continental and English Breakfasts, salads, pastas, pizzas, grilled meats and the freshest seafood. Our philosophy is simple, if we don't like it, we don't serve it. Over the years we have established ourselves in the entertainment industry in Kos and we have become renowned for quality and service. All our food is immaculately prepared and served with pride. During the day, slow down, relax and spend time on the beach. Our friendly and helpful staff are always there to get you a drink or a snack anytime you wish. At night our aim is to create harmonious surroundings for our visitors to relax and enjoy their food, or just a drink or coffee listening to the latest chill out music. We also regularly have selected live entertainment by famous artists. 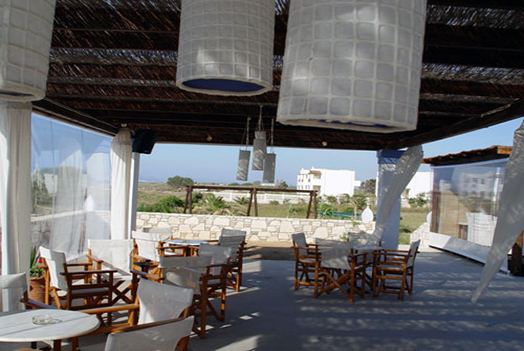 The decor is simple yet elegant with that unmistakable Mediterranean flavour. Our staff have all been trained to the highest level of service and have been with us for years. Don't be surprised if they ask you for your name. All of our customers are on a first name basis with our staff. Every visitor to Bravo Beach comes in for the first time as a stranger and always leaves and returns as a friend. For full screen right click in the film screen for the zoom menu! © Nostalgia Travel  / Beaches / Bravo Beach.